In their latest ST98 report, the Alberta Energy Regulator (AER) says it expects capital spending in the province's energy patch to be about $26.2 billion, a tad higher than last year's $26.0 billion and 35% lower than $40 billion spent in 2014. 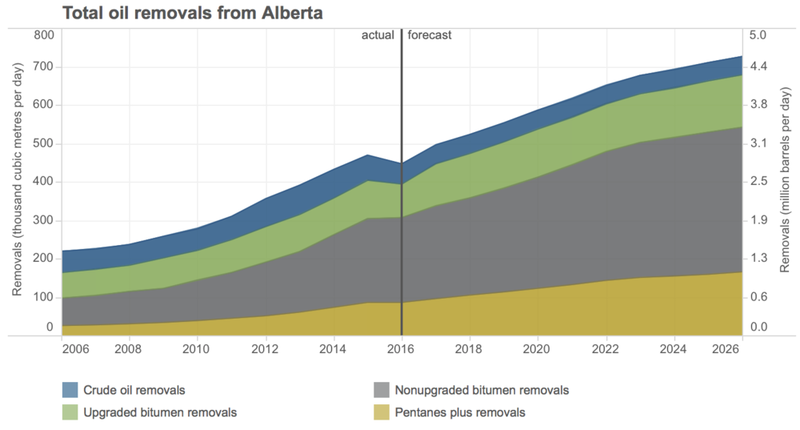 The AER also says Alberta still has 165 billion barrels of bitumen in the ground, along with 1.6 billion barrels of conventional crude and 28.2 trillion cubic feet of natural gas. Alberta's energy regulator expects WTI prices to average about US$53 a barrel this year. An interactive version of ST98: 2017 Alberta's Energy Reserves & Supply/Demand Outlook is available on the AER's website (www.aer.ca).